Librarian Pro 4.0.4 – Complete personal inventory system. Librarian Pro’s databases are fully compatible with both the Mac OS X and Windows versions. Additionally, one license will grant activation for both copies of the application. 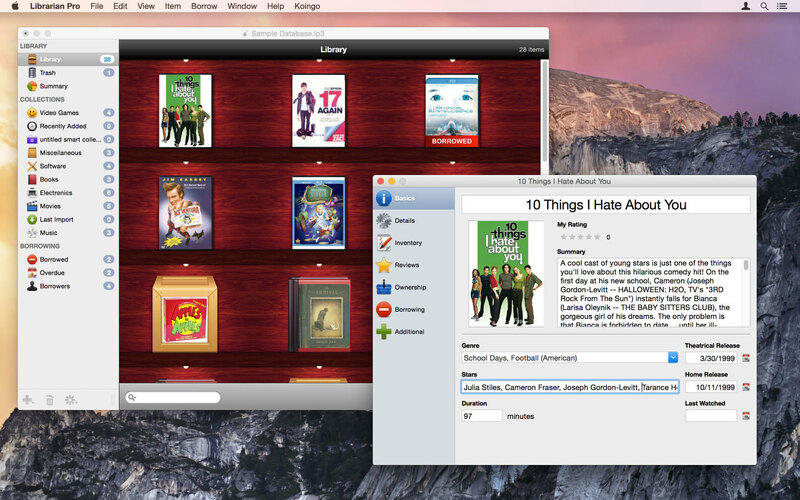 Download the free fifteen day trial and have serenity return to your media collections. Gives much more descriptive error messages if databases cannot be saved. Fixed major issue with how we remembered file locations resulting in lost window settings. Next story Scrutiny 8.1.0 – Suite of Web optimization tools. Previous story iSubtitle 3.1 – Soft subtitled movies for your Apple gear. Librarian Pro 3.1.3 – Complete personal inventory system. Librarian Pro 3.1.5 – Complete personal inventory system. Librarian Pro 3.0.8 – Complete personal inventory system.